Good Morning! Welcome to the Really Reasonable Ribbon Blog! My name is Keri Lee Sereika and I am thrilled to be guest designing for Really Reasonable Ribbon this month. I thought I would share with you a fun and easy project today that will make any little girl (or big girl for that matter) super happy! Who wouldn't want to make this Fifteen Minute DIY Tulle & Ribbon Button Embellished Headband Bow??? 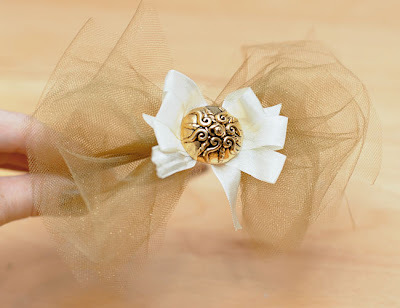 Using a few simple and inexpensive items let's take this simple dollar store headband from blah to FABULOUS! I have included step by step photos and instructions. Remember, while this is done to match my daughters Autumn Forest Nymph Tutu that I made for her, you can use ANY COLORS you like...why not make a rainbow of them!?? Let's begin by gathering our supplies, shall we? 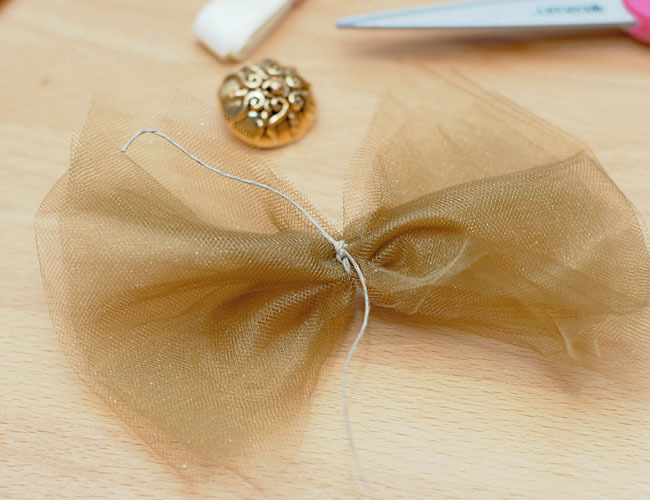 Fold tulle in half, then in half again, then in half once more making eight layers of tulle. Tie center with hemp twine. 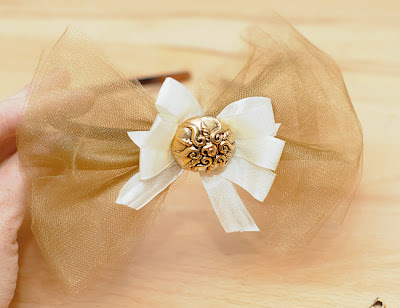 Place on headband and tie onto headband using short length of Cream Seam binding. Hot glue underside to headband to hold securely. Tie a triple loop bow using Bow Easy Tool, or tie a big fluffy bow using any method you are comfortable with. 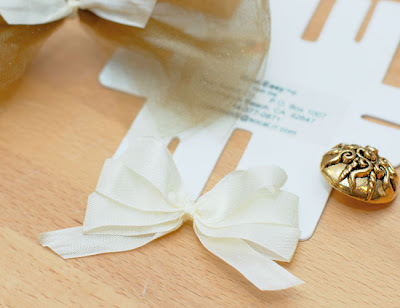 Use hot glue to adhere ribbon bow to center of tulle bow. 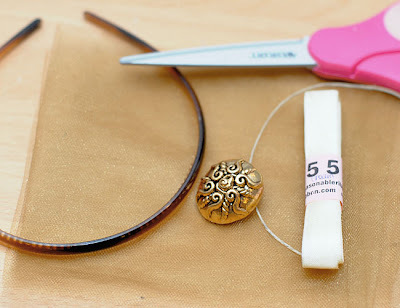 Using sturdy scissors or button shank remover tool as shown, remove shank from back of button. 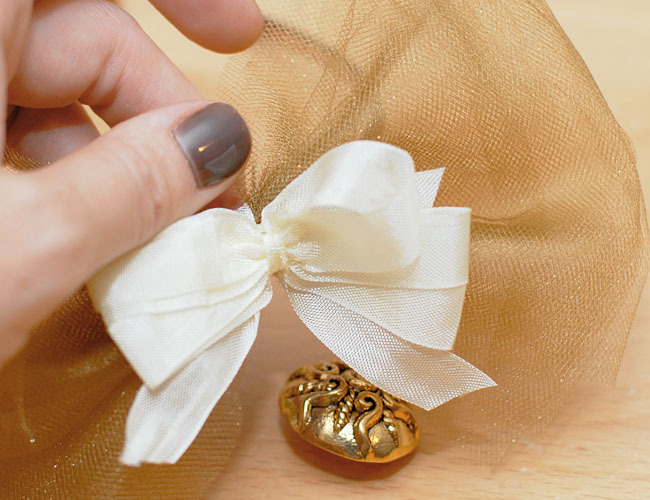 Use hot glue to adhere button to center of bow. 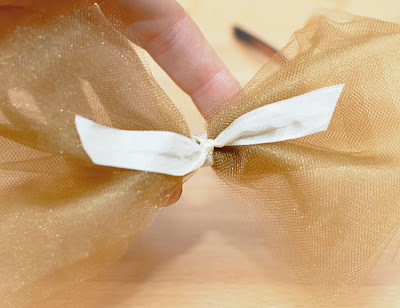 Cut through loops on end of bow and scrunch tulle to make a fluffy bow. Place on the head of a a VERY HAPPY little girl for complete enjoyment! So pretty and what a precious model! Welcome! 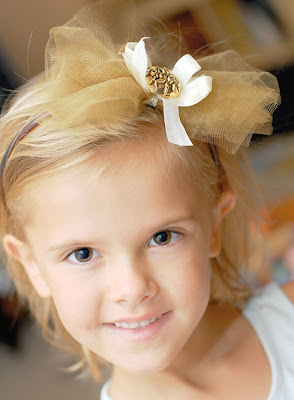 I love this bow...so shabby...and your daughter is adorable! Love that headband/hairbow. Looks really easy and cost effective.Great idea and thanks for sharing. Would be really pretty for a special occasion depending on the tulle used. Utterly adorable child - CHECK CHECK!